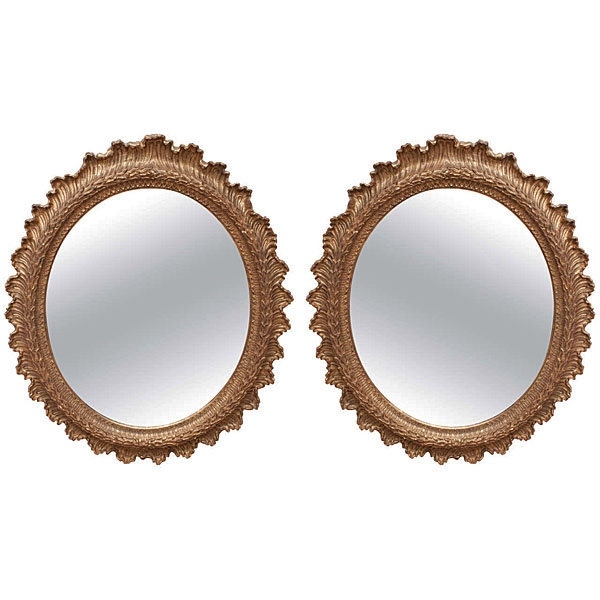 A fine pair of carved gilt wood oval mirrors, Continental, circa 1860. 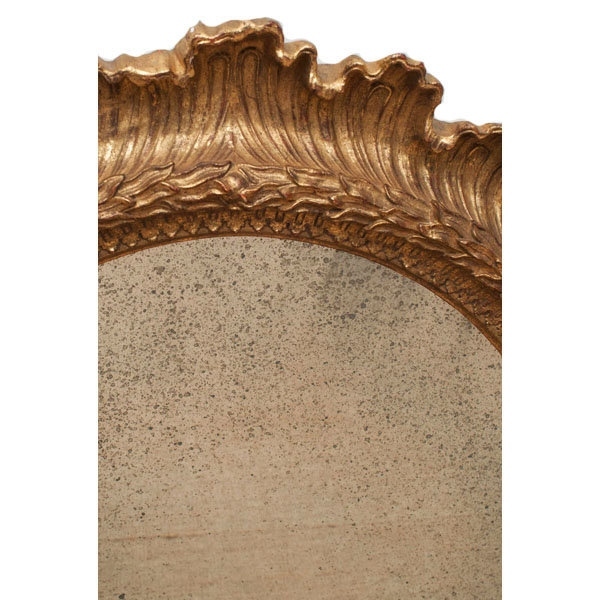 Each with an elaborate acanthus carved frame with a wonderful gilt surface over gesso. Condition is excellent. 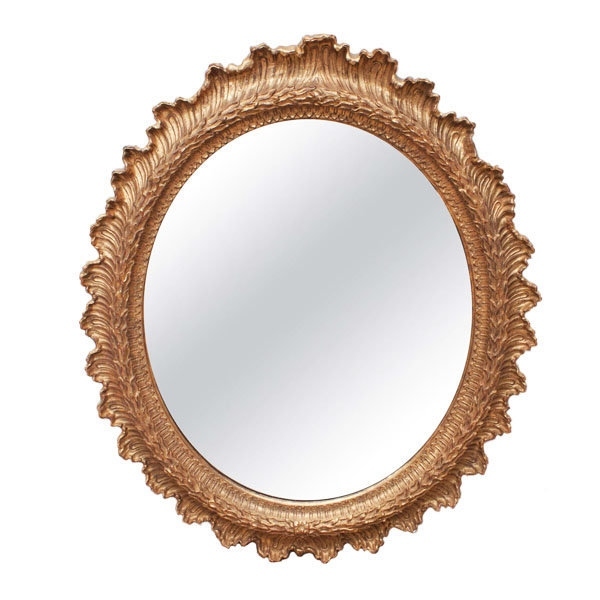 Dimensions: Height 41″, Width 34″.